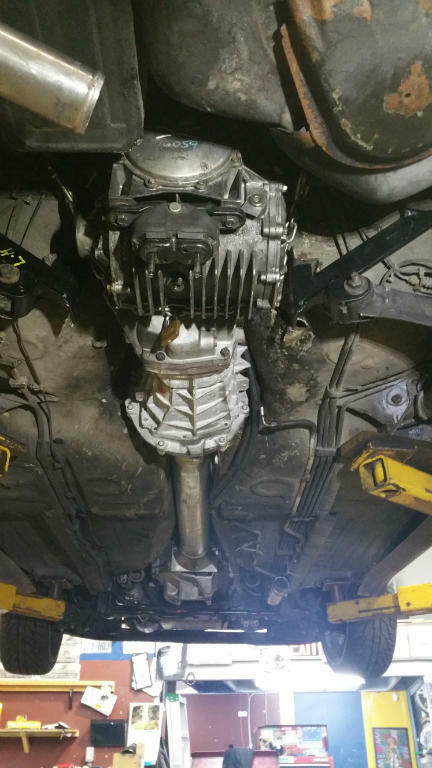 Porsche 928 Corvette Transmission Project | Genesis Auto Repair Ltd.
We at Genesis Auto Repair are pleased to give a little bit of our inside workings and explain the way we perform from start to end when we do a car upgrade, modification or rebuild. 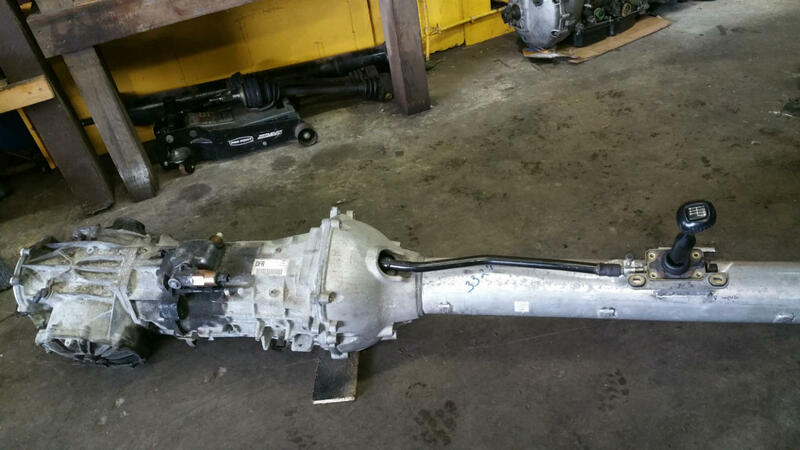 We currently finished modifying a 1985 Porsche 928 from an Automatic transmission to one of a Manual Transmission kind. 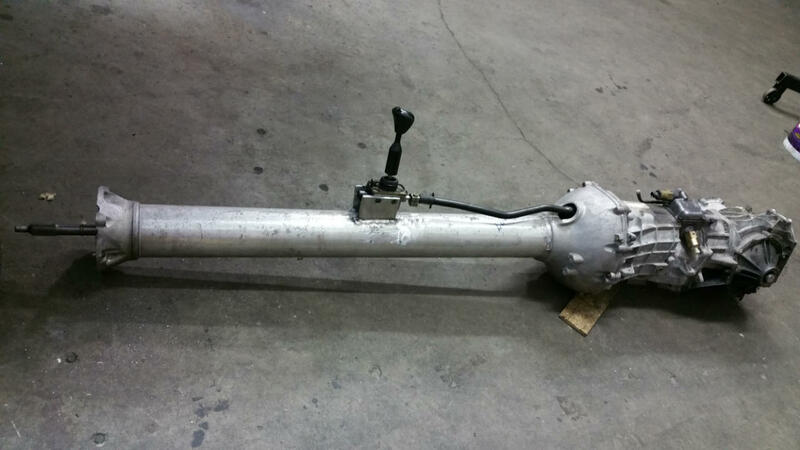 We took a Manual 6 Speed Transmission from a 2004 Corvette and modified it with welding and fabricating parts to make it fit and work marvelously in the 1985 928 Porsche rear wheel drive. We did a lot of modifications including welding, electric details, electronic modifications and doing the same with aftermarket parts. 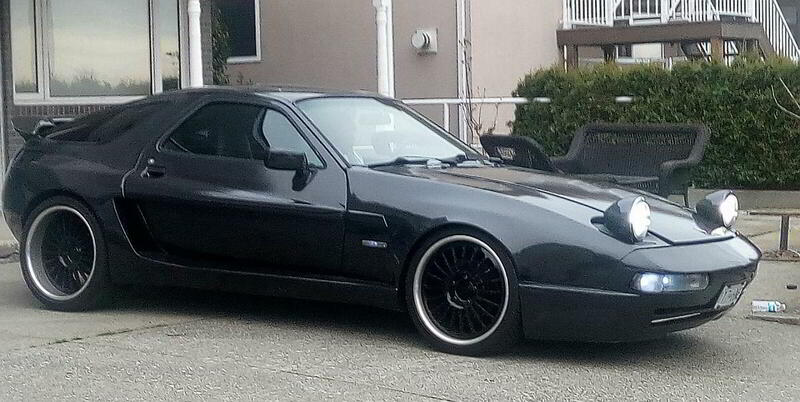 Some parts took longer than others at modifying as it usually does with these types of works. We had to send parts to other shops to have them machine so that they would fit and work well in the modified Porsche. For the most part we did the labor of making the parts from the Chevrolet fit into the Porsche. 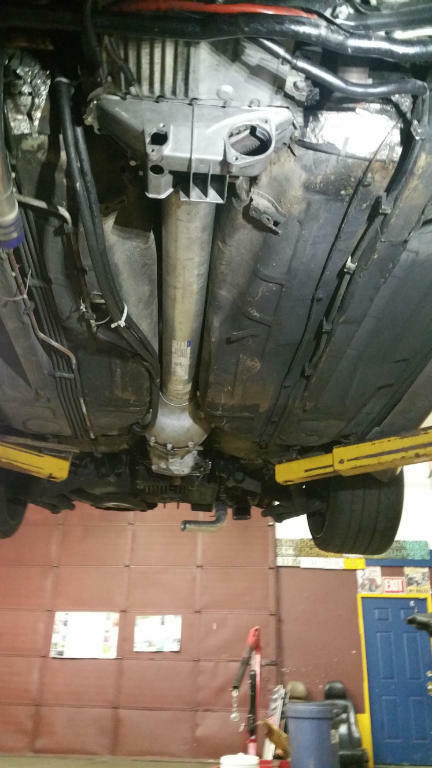 We ordered other parts from the Chevrolet to fit in the Porsche but not all parts were to the correct specifications of the Porsche so that’s when we came and did our job of making it happen. 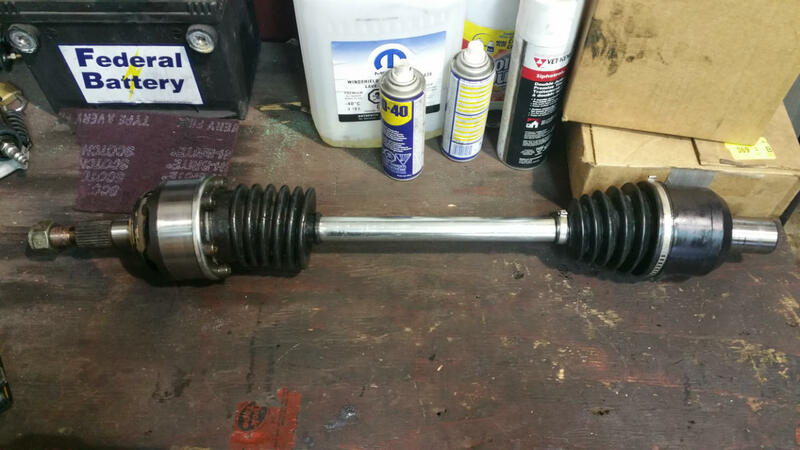 Some of the modified parts include the flywheel and flywheel housing modification, the torque tube, the shift stick plus relocating the shift stick. Machine and modification rear axles and carrier, re-wire back up light switch, speedometer and fabricate and build the complete hydraulic double clutch system. Clutch pedal modification, Although the list looks small it was a big job, one of the biggest job that we have taken on. The way we went about it was we took the Logistic first then the small jobs to clear most of the clutter and small workings out of the way so we could be more ready to handle the bigger jobs such as dealing with the rear axles and transmission in the back of the Porsche. Little by little and step by step we went about fixing the job right. 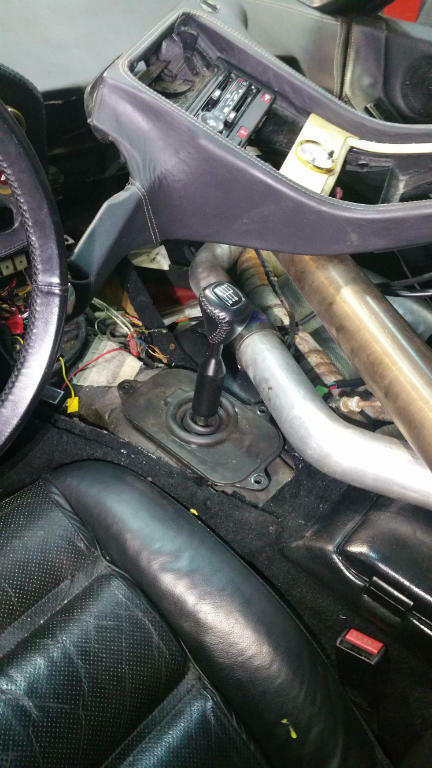 I admit we did have some minor problems as do all jobs but that didn’t stop us from meeting the goal of converting the Porsche from an Automatic Transmission to a Manual 6 Speed Rear Wheel Drive Transmission with a double clutch. With this job we really went all out on making it the beauty that already was the Porsche 1985 928 and adding more good things to making it even better than it already was. The body was costumed built from fiber glass material before we started working on the car so it was already a unique beauty down the roads. If we may say so ourselves this is one rare masterpiece of a car. The vision was set in our minds and we worked on it like so. To us it was not just another job but a job that we could say that was big and that we ended up conquering and coming on top of it all. It was and still is a milestone in our journey of the world of Automotive Car Mechanics. 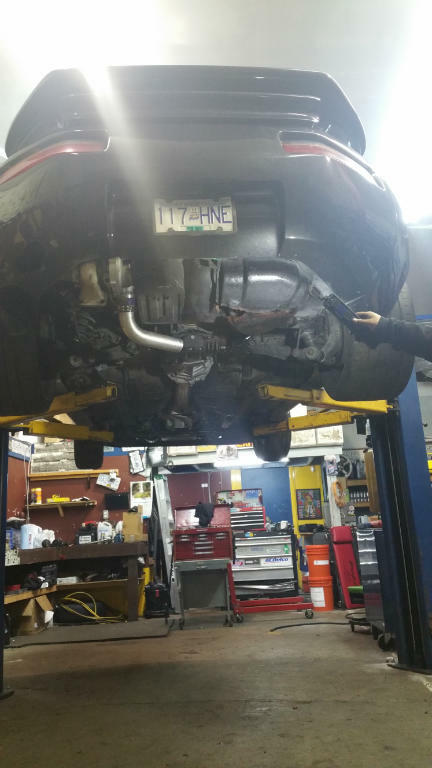 They say the journey is the best part and here at Genesis Auto Repair we agree but nothing is like the end when you see and hear the car start and drive excellently after the vigorous part of working long hours on it. The Porsche now drives with more power and speed behind it. In total it took just about a month or so of labor and planning to complete the project. We are proud to say that it was a learning experience and that we are capable of such jobs in the future if it happens again. Over all the client received what he wanted and G.A.R came out with another victorious job completed. We have a high no return-back percentage which means we give our clients the best job possible every time.